Melanoma kills more young people than any other type of cancer. After 42 years in the sun, a veteran lifeguard looks back at what he could have done differently to lower his risk - and what you should do each time you head out to the beach this summer. The sky to the south is weighted with rain clouds, sagging low across the rocky outcrop that marks the boundary between Sydney’s Eloura Beach and its better known neighbour, Cronulla. As the clouds begin to open, the sound of rain taps against the roof of the Eloura Beach Lifeguard station, which sits perched on wiry legs overlooking the wide expanse of beach to the north. Lifeguard Jon Lavers casts his well-trained eye across the sand, which is becoming wetter by the minute. But Lavers, a 42-year veteran lifeguard, isn’t surprised that rain hasn’t put off beachgoers. He has seen it all. A multi-medalist in surf life saving, a life-long surfer, and a Sutherland Shire community icon, Lavers’ life – punctuated by tales of travel, competing, even international modelling – has always revolved around the waves. 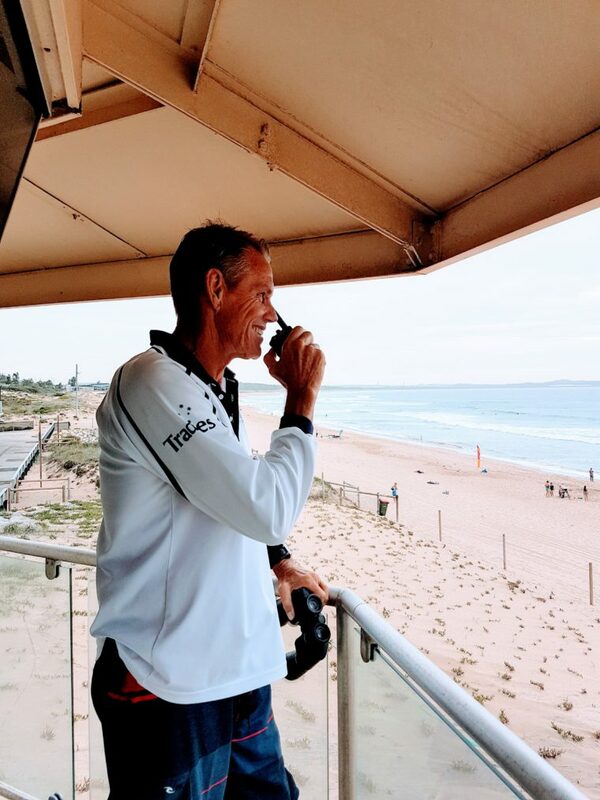 Jon Lavers has been hitting the surf for 42 years as a lifeguard. Tall and lean at 62, he is little changed from the blonde-mopped, golden grinning heartthrob he was in his 20s. Before taking his post that morning, he had already surfed and then swam the length of the beach – about 1k. 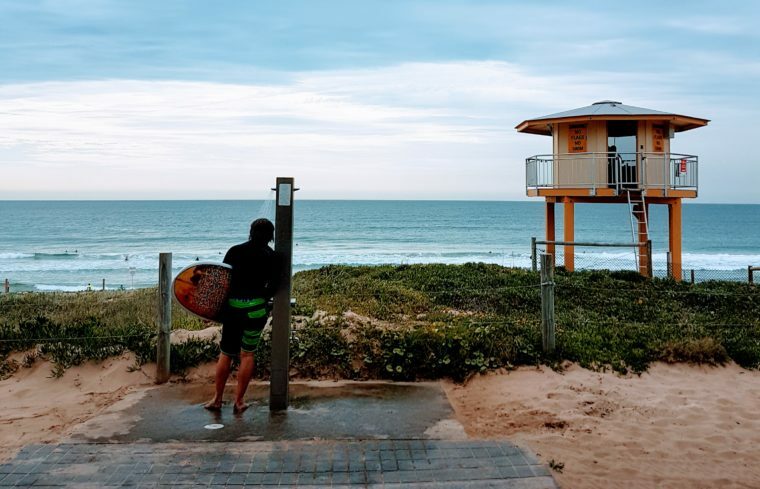 As we chat through tales of sharks, surfers and rescues, he gestures across the bay: he knows each rip and buoy, each catalogued carefully in his mind. Every so often he pauses to catch the chatter on the walkie-talkies, or wave to a beach regular. But so many years on the beach has put Lavers at a higher risk for melanoma. According to The Melanoma Institute, one in 14 men will be diagnosed with melanoma at some point in their life. That risk is higher for those who have spent a lot of time outside in the sun unprotected. And for young people, that risk could be deadly: Melanoma kills more people aged 20-39 than any other kind of cancer. It’s this risk that has given Vodafone Foundation the motivation to add melanoma as part of a project in the DreamLab app. The app supports the Garvan Institute’s research into the deadly cancer, which will see melanoma genome data, along with the genomic data from several other cancers – including brain, sarcoma lung, ovarian, breast, prostate and pancreatic – compared against others to hopefully uncover new ways to understand – and solve – the cancer puzzle. “We want to use this data to help us understand how cancers, like melanoma, evade the immune system’s sophisticated protective mechanisms and spread throughout the body. It’s important to remember that the immune system is our body’s defense against infections, bacteria from outside the body, and things like cancer inside the body. The immune system should be killing the melanoma cells, but for some reason, in some cases it doesn’t, and we want to know why and how to kick it back into gear,” said Dr Tri Phan, Immunologist at the Garvan Institute of Medical Research. Back in 1975, when his career began – and before “slip, slop, slap” – many young people like Jon spent their days outside without much thought – even sunbaking using coconut oil, as he once did. For lifeguards, it was part of the job. For Jon, the risk for melanoma is becoming more real each year. Having recently had moles cut out and checked, he is in the clear for now – but has to keep a careful, regular watch of his skin – and avoid sun exposure where he can. “I was fortunate, I have olive skin, but still the sun does really affect your skin,” he said. Some of his other friends haven’t been so lucky, he says. Jon Lavers’ is now a lot more caution about sun protection than when he was younger. Jon’s advice for fellow surfers, lifeguards, and beachgoers is simple: smarts before style. He also feels like some of the sun protection message has been lost in translation – especially for young people. For now, after a few busy days, Jon is grateful to have a smaller crowd to watch over from his tower – even if it’s raining. He plugs in the kettle and listens to the fuzzy walkie-talkie chatter from the other guards. He’ll be in the surf later, he guesses. As I leave he plays me the “sun safety jingle” which the Sutherland Shire plays hourly between 11-3 at council beaches, as part of the Cancer Council’s “hear sun sound, be sun sound” campaign. A tinny steel drum pours an undeniably catchy tune out of the speakers. We bob our heads along, and he waves.